Poligar hound also known as Rajapalayam comes in the category of Indian slight hound. This Breed has got its name from the town of Rajapalayam in Virudhunagar district of Tamil Nadu.This is amongst few Indian bred pedigree dogs and are in the verge of extinction. Poligar hound was bred to be a vivacious hunter with an appetite to please his or her master.They were bred to hunt wild boars and small preys as well as they make excellent guard dogs for family.This breed is wary of strangers and their sheer size alone can intimidate them.Please keep in mind that these dogs don't like to be petted or touched by the strangers on the contrary they will charge towards them if they feel threatened.Weather is also not a problem with this breed as they were bred in Indian climates and will have no issues in summer heat. Poligar hound stands tall at 26-29 inches on an average at the withers and weighs around 22-25 kg. Poligar hound was bred to be a hunter and it still retains the trait.They were bred to Hunt wild boars and small prays.They wont think twice before pouncing on intruders which makes them one of the best guard dog breeds and they are also known to be extremely attached to their owner. Some people say that these dogs have power to see through the strangers as to whether they are threat to the family or not.They develop special bond with one of the member of its family. Poligar hound will not be a right breed for young children but they will do fine with older ones.This breed may or may not be friendly with stray dogs but they definitely are not friendly with smaller pets due to their high prey drive. Poligar hound in considered to be one of the healthiest breed but please keep in mind that any breed can develop genetic disorders along with common disorders like hip dysplasia. Deafness is associated with most of the white coated dogs.Coat and eye colour is decided by melanocytes which produces pigments.Melanocytes also produce hearing cells so if this is absent it can lead to deafness.Along with this alot of skin problems are associated with all the white breeds. Nayakar dynasty of Tamil nadu primarily bred and used these dogs.Researches speculate that this breed may have been used to breed modern dalmatian.These dogs were used in carnatic wars & poly-gar war to attack British cavalry as they were fast,strong & aggressive in attacking the opponents.Its also believed that four Poligar hound attacked and killed a tiger saving their owner life.This incident took place in a forest near virudhunagar district of Tamil nadu.These dogs due to their protective nature are used to guard houses,rice fields and farms.They are being used by the Indian armies near Indian borders of Kashmir to support their army since last two decades. 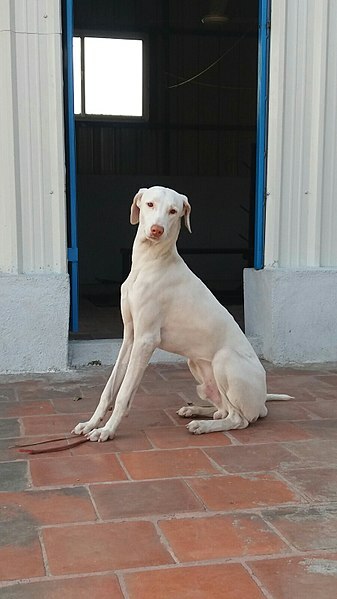 Poligar hound are in the verge of extinction and only few are left near the isolated pockets of southern Tamil nadu.If efforts are not made to revive this breed they may vanish altogether so specially for this purpose a dog breeding unit was setup in saidapet chennai during 1980-91.This unit primary purpose is to rear breeds like Poligar hound, kanni,combai & chippiparai.Animal husbandry department of Tamil nadu participate in dog shows to encourage dog lovers to rear these native breeds and to create awareness.A cooperative has been established by the localities & the families who are interested are handed over female dog and expertise required for large scale breeding.Postage stamps have also been brought out for the breeds like Rajapalayam,mudhol hound,Rampur hound and the himalayan sheepdog.The cause of Poligar hound has been taken up by the Kennel club of India who also helped to launch a project named "Save the rajapalayam project".This step has a great influence on this breeds population and is still active under KCI. 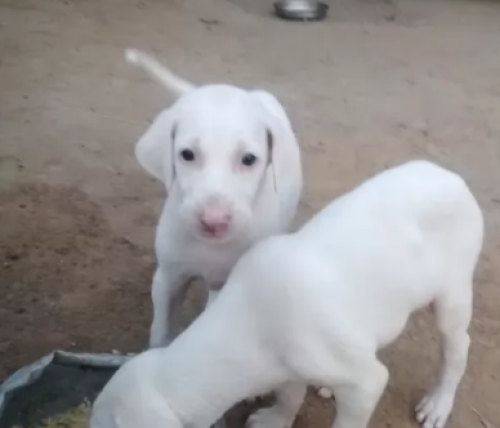 Poligar hound price will be between 5k to 15 k INR.Please keep in mind that the exact price of the breed will depend upon the organisation or the breeder.Due to bad breed practices its always recommended to but this breed from a reputed organisation or a breeder. The yearly cost including veterinary care,toys,foods and treat may vary from 400$ to 720$.This excludes the cost of collar,leash,carrier and a crate. Should you get Poligar hound? The best thing about this breed is that it was bred to be suited to Indian climates so it will have no issues in the summers of India.Keep mind that these dogs will require long walks and exercises with or without lease Plus this breed is also easier to train. We sell all types of high pedigree Foreign as-well as Indian dog breeds. Don't Forget to check out high quality food for dogs.click here.